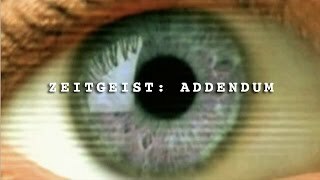 Many years ago I posted a link to Peter Joseph's film, Zeitgeist and only recently stumbled on a sequel titled Zeitgeist Addendum made in 2010 and updated to address humanity's current predicament. The first hour features John Perkins of Confessions of an Economic Hit Man fame describing how corporations came to control the world's people. The second hour, beginning at 54 minutes in, elaborates on the solution: The Venus Project, a program for replacing a monetary society based on false scarcity with a resource-based society based on abundance, where technology serves people and not profit. It eliminates all menial labor and also eliminates money and therefore inequality. In other words, it is the opposite of our current social structure. It is the kind of structure I always imagined more advanced alien societies would have constructed for themselves. The spokesperson for The Venus Project claims that the technology already exists to realize such a goal - but patents protected by the elite prevent it being used. For instance, geothermal energy could power the entire planet; for free, At the end of the film Joseph gets to the spiritual aspects of universal abundance - "we are all interdependent - with each other and with all life on earth ", and refers to 'the zeitgeist movement'' - teaching people how to stop supporting the current system. It all sounds like a mammoth undertaking, overwhelming and dis-empowering the current money and power structure. One unlikely to succeed. But the sliver of possibility I find at this moment in history is showing up in the resistance to the extremes the current white house has brought us to. Even European allies are fed up. European populations are refusing to lie down for the enslavement being legislated for them. So yeah.....maybe.